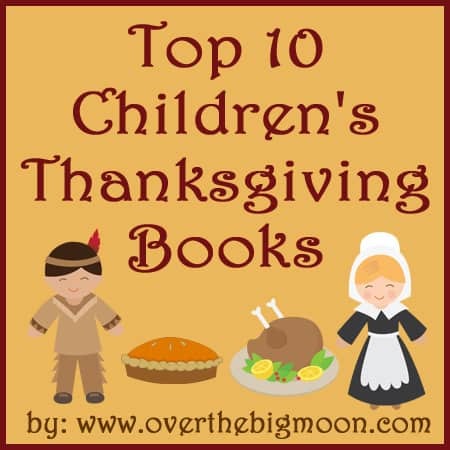 I read a lot of Thanksgiving books this last month to compile a Top 10 list for us this year! I hope this helps save you guys some time and makes your November a little bit more fun during reading time! The best part of this list, is that all, but one of the books, is a part of Amazon’s 4 for 3 promotion right now. All the books above that have an asterisk before it are eligible. So, basically buy 3 books and get one (the lowest price) free!! Heck of a deal if you ask me! 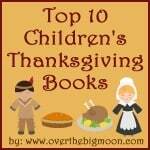 Here is a really great Thanksgiving book that my friend introduced me to last year. Kami – I’ve never seen or heard of that book! Looks amazing though. Thanks so much for sharing it with us. I’m ordering it now!